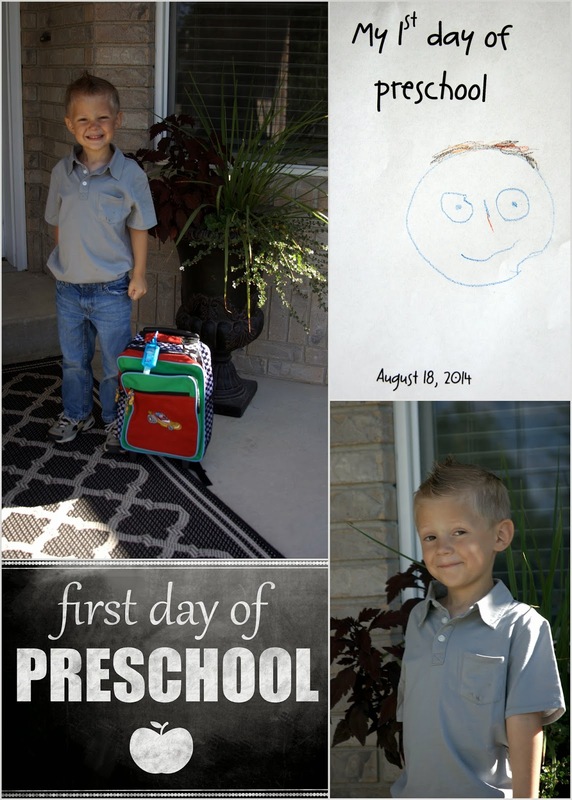 Yesterday was Carson's first day of preschool. He is in Ms. Angela's 4 year old class with two other friends from the neighborhood. What a difference a year makes! This time around he was actually excited to start school and didn't object to getting ready to go to class. In addition to attending preschool three times per week, Carson is also enrolled in an on-line learning program which teaches him reading, math and science skills. Upstart is a state sponsored program that requires him to spend 20 minutes a day, 5 days a week playing games, learning songs, and drawing pictures. By the end of June, he should have completed at least 4,000 hours learning to read. He is such a smart boy and he loves computer games so much, I don't doubt Upstart will be the best way to prepare him to read. Just yesterday he learned the song Hey Diddle Diddle from playing on Upstart and kept singing it all day long - better that than a cartoon song!